This bottle certainly puts the ‘kill’ in Kilchoman because it assassinated my blog for over a month. I couldn’t find any reviews to add links to or discuss. I was surprised to find, or not find any mention of it on Whiskybase. Thankfully it’s been added now and 86.6/100 from 107 votes is a fantastic score. Nose: Soft peaty aromas, citrus and pear drops. Palate: Sweetness first, soft peat smoke and ripe fruity notes. Finish: Long and clean with peat smoke and citrus later. I agree with all of these. From my nosing I got peat, citrus and pear drops but also grass, vanilla, and memories of Ledaig and Yamazaki. Not quite the combination I was expecting. 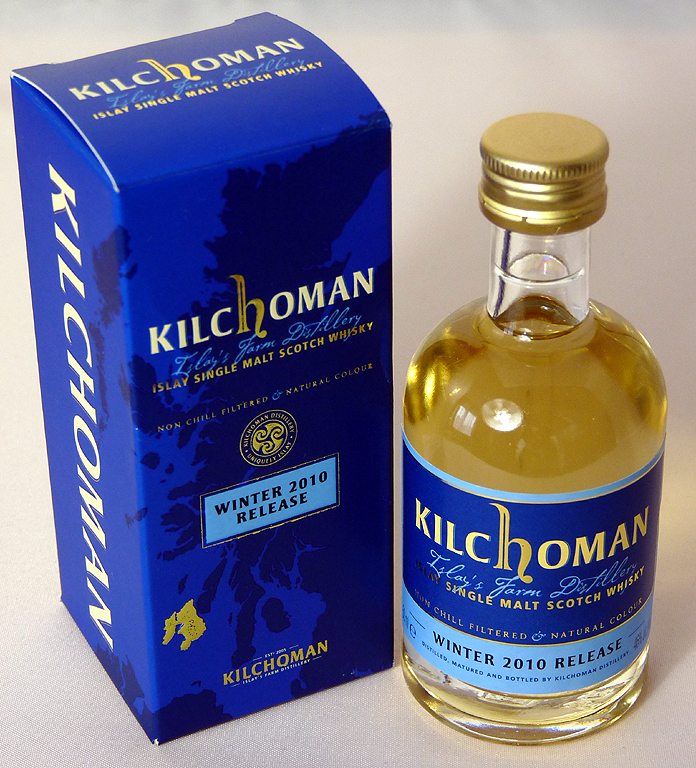 I tried a Ledaig later and realised there were similarities but the Kilchoman was much more subtle. The 59.2% certainly wasn’t, which helped provide a nicely rounded body and long finish. 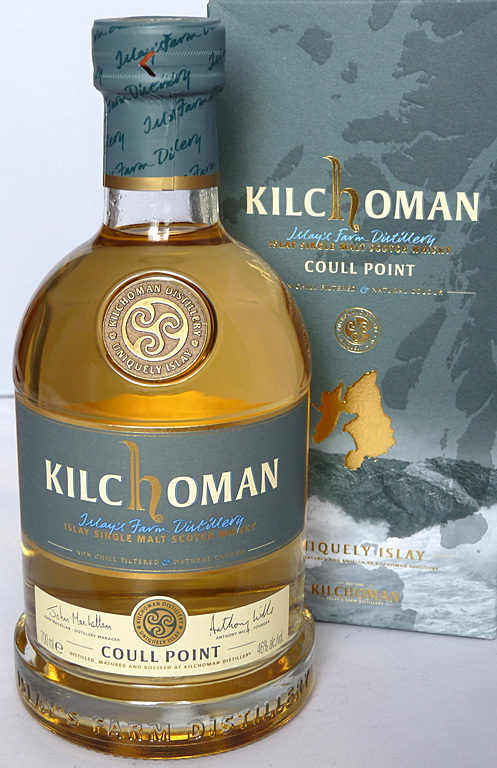 This is such a delightful whisky I’m left wondering why I hadn’t tried Kilchoman before. Perhaps I was worried I’d become an addict! There are so many versions of Kilchoman available, it would cost a fortune to track them all down. But if you’ve never tried this distillery before, I’d recommend it. 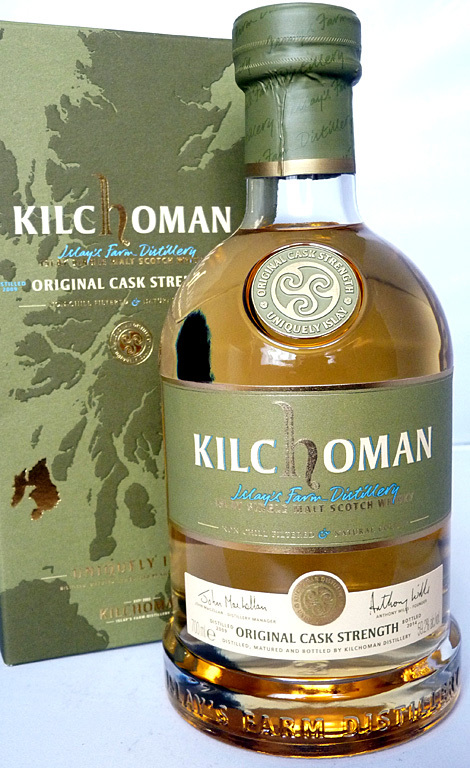 If you’ve never tried any Islay whisky then Kilchoman would be a good starting point. None of the bottles I have mention ‘medicinal’ in their tasting notes, which is the flavour I found hardest to appreciate when I first tried the likes of Laphroaig. I got there eventually though! As I’m writing this I have the Machir Bay bottle on display to the right of my monitor. It has a very pleasant, dumpy shape to it. Originally I ordered the 2013 edition of Machir Bay from Loch Fyne but they phoned me to say it was meant to say ‘2014’ on their website. Although they had both listed, and I’d ordered the 2013 mainly because it was £35 and the 2014 was £40. They agreed to give me the 2014 for £35, so £5 off! 🙂 I’m loving this whisky even more! Jim Murray in his Whisky Bible gives the 2012 version of Machir Bay 93/100 so the 2013 has slipped a bit with 90.5/100. Nevertheless that’s still classed as “brilliant” according to Jim’s ratings. In my hunt for reviews I stumbled across a write-up on Whisky Intelligence (here) that says the 2014 Machir Bay is an improvement on the 2013 which, as Jim Murray highlighted, had slipped a bit since 2012. This all makes good reading to me! 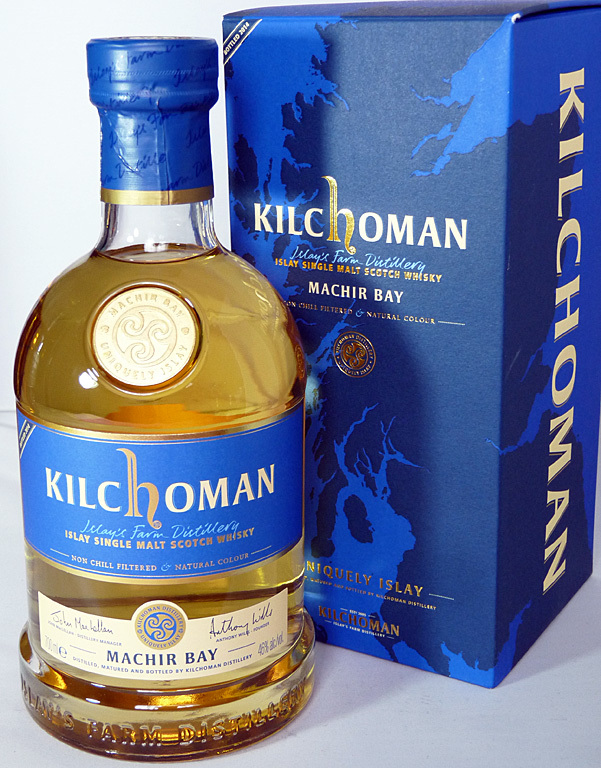 With Kilchoman being born in 2005 and the first distillery on Islay for 124 years, it doesn’t take a collector long before they think “I must get myself one of those!” I was intending to hold out for a 70cl of Machir Bay 2013 for Christmas when I stumbled across a miniature of this 2010 Winter Release. Normally Kilchoman miniatures have been £8 or more but with these at £6 each I pushed the boat out and got two! What a wild, reckless, crazy fool I am!